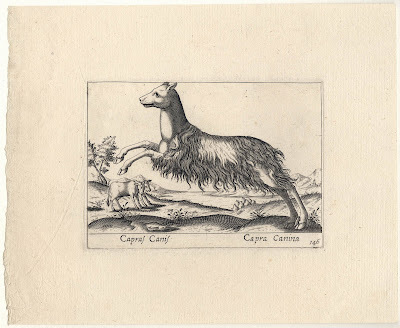 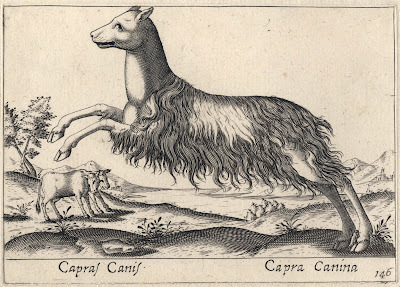 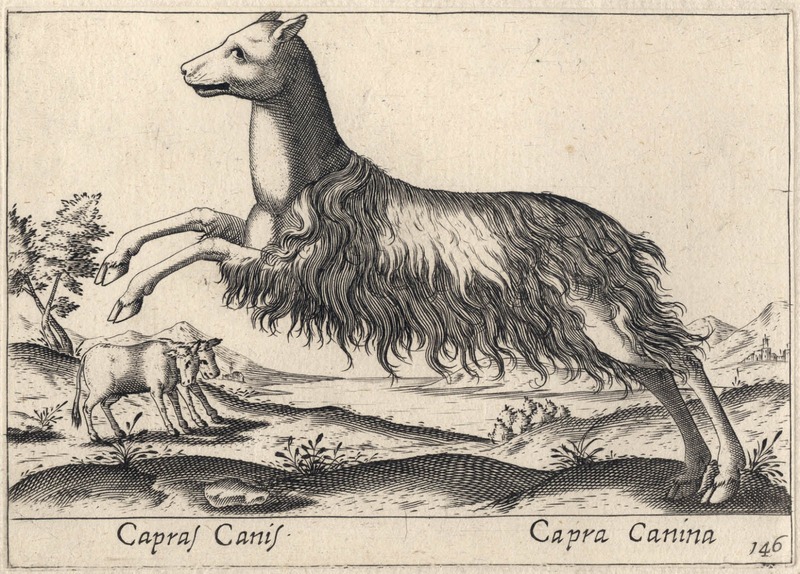 “Capras Canis Capra Canina”, 1565–1630/50, published in the second edition (as signified by the inscribed plate number, “146”, at the lower-right corner) by Giovanni Giacomo De Rossi (1627–91) in the series, “Nova raccolta de li animali piu curiosi del mondo” (Transl. “New Collection of the Most Curious Animals in the World’) (1650). 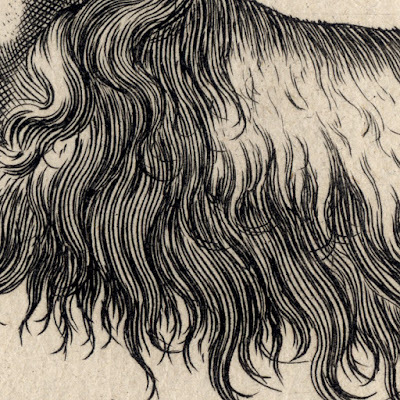 Condition: a faultless impression in pristine condition with generous margins. I am selling this rare pint of a very curious animal that is half dog and half goat having a wonderful time leaping around while being watched by a two-headed, six legged donkey for the total cost of AU$145 (currently US$114.91/EUR98.06/GBP89.23 at the time of this listing) including postage and handling to anywhere in the world. 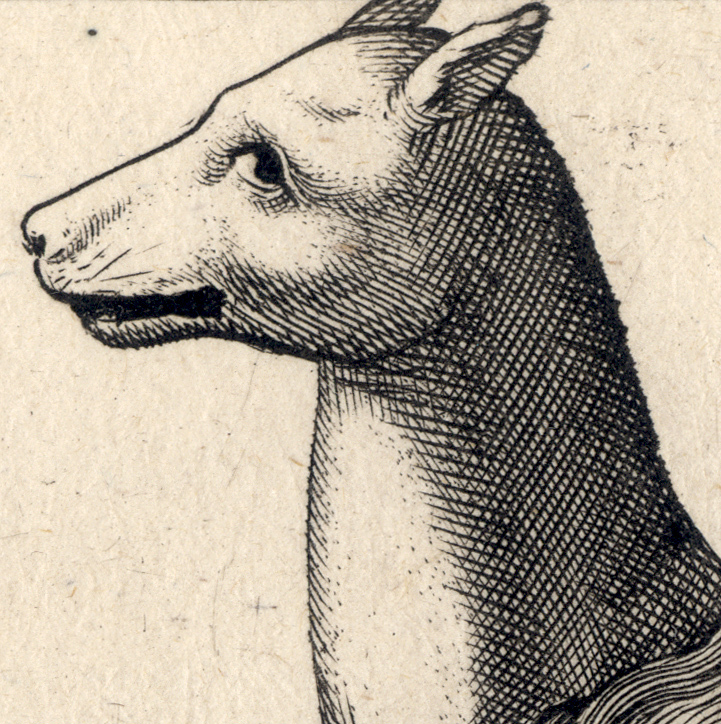 If you are interested in purchasing this wonderfully bizarre print, please contact me (oz_jim@printsandprinciples.com) and I will send you a PayPal invoice to make the payment easy.